Wouldn't it be great if you had space to indulge your passion? 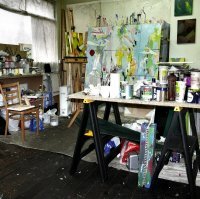 It's not just painting, but all forms of artistic expression that you can nurture in the oasis of your very own studio. Set-up by George Morris, retired printer and local photographer, Place To Paint offers affordable studio space to encourage others to develop their creative sides. We have converted two properties into shared studio space, each well-located and with a variety of affordable options to suit your needs. Call us now on 01753 662323 to find out more about how to get your space today or click to email. 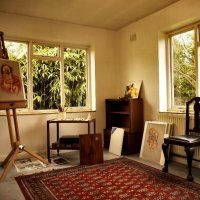 A quiet set of studios in a cottage in a field in Fulmer, South Bucks. You won't believe that you are just 10 mins from the M25/M40 junction. From £310 per month.